Last year, I wrote about the program Sony set up to replace defective LCD rear-projection HDTVs. As it turns out, every rear-projection TV Sony has ever made is defective, so they offered a program to replace the rear-projection TVs with direct-view LCD flat-panel HDTVs. But Sony has a lot of problems. They’re losing money like crazy. After offering a trade-in program for almost two years, Sony abruptly ended the program on October 27, 2011, along with the restructuring of their TV business. On November 1, 2011 Sony instated a new program. The new program offers significantly less than the old program. If you have a Sony rear-projection HDTV, you may have missed the better deal, but it’s not too late to trade in the defective set for a discount on a flat-panel. Click on this link to find out more. Sony truly has tough luck with their TV technologies. They recently recalled 1.6 million Bravia LCDs do to an overheating issue which could cause fires. Here’s my story: I purchased my Sony KDS-R60XBR1 back in 2006 from Circut City when they were still a brick and mortor store. I spent $4800 dollars on this Sony product based on their history of reliable products and excellent customer service and to this day I still have two older Sony tv’s in my home. Needless to say I was a true Sony fan. 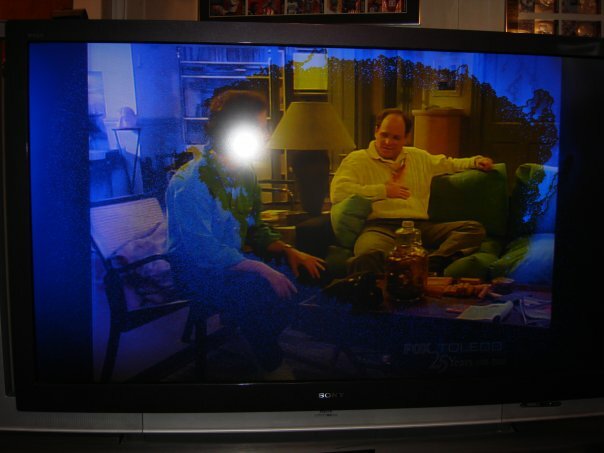 Heres when it changed for me…after less than a year of owning my 60″tv it began to show blue spots in the corner and I called Sony and they sent a local repair shop to replace my optical block. Now four years later the replacement optical block has failed again and my screen is now predominately yellow and I have no warranty to speak of. I spent a lot of money on this tv and expected it to at least a clean run of 8 to 10 years with little to no problems other than normal maintenance of a bulb preplacement. I am going to attempt to contact Sony to see if there is any thing they are still willing to do to stand behind their product. I will update as the process goes along. Thanks for sharing your story Lynnora, sorry to hear about your troubles. Please do share your experience with contacting Sony as I’m sure there are others in a similar situation that will be interested in reading about it.